Belgian champions, Anderlecht secured their third win on the bounce on Saturday as they beat Lokeren 2-1 away from home. Nigerian striker, Henry Onyekuru was the hero for his team as he got the winning goal that secured all 3 points and bragging rights. 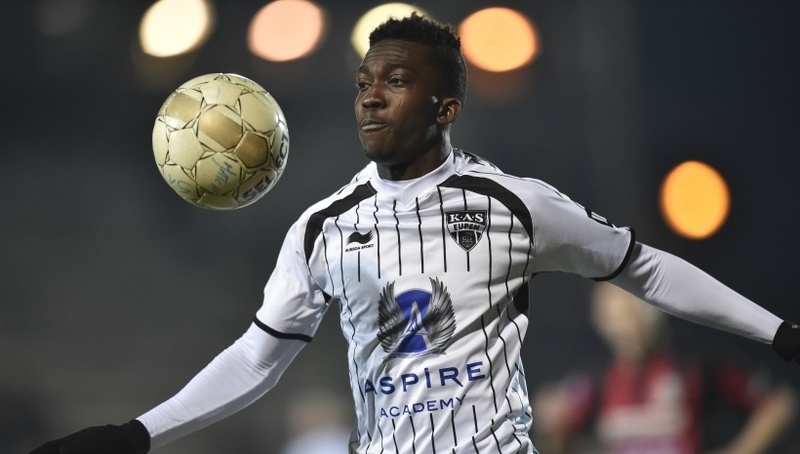 The goal by Onyekuru which was scored in the 52nd minute was his eighth league goal this season even as the Everton loanee continues to turn heads with his displays. The 20-year old Nigerian striker has again shown why he is attracting interest from top clubs across the world as he is reportedly being monitored by the likes of Barcelona and Manchester United. Despite the latest win, Anderlecht remain third on the table with 34 points from 17 matches, six points behind leaders Club Brugge, who be up against bottom club KAS Eupen on Sunday.